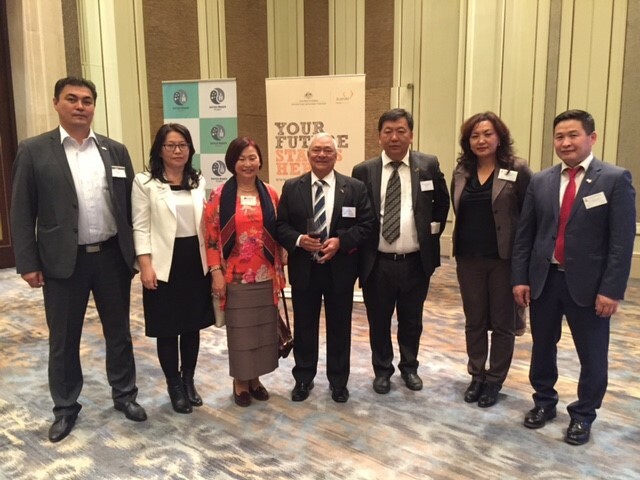 On Friday 22 September a small group of Curtin alumni gathered at the Shangri-La Hotel in Ulaanbaatar, Mongolia to celebrate Curtin’s 50 Years of Innovation. The gathering was organised by alumna Hana Byambadash, and provided the opportunity for graduates to share fond memories of studying at Curtin and make connections with other alumni living in Mongolia. 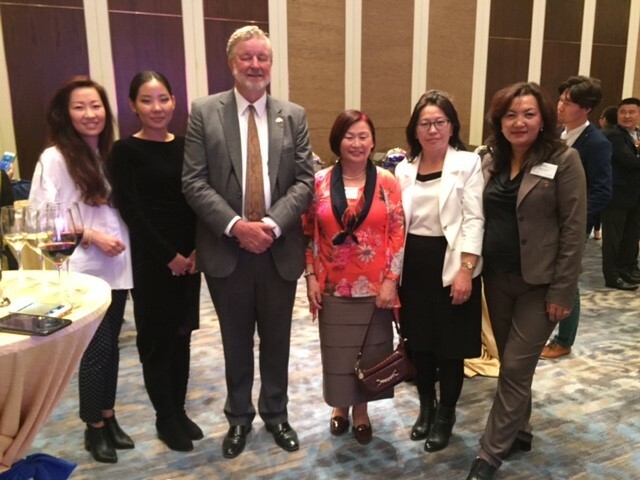 The event coincided with a Department of Foreign Affairs and Trade function, during which graduates met with Mr. John Langtry, Australian Ambassador to Mongolia (pictured below).